What is making the paint peel on the interior of my commercial property? 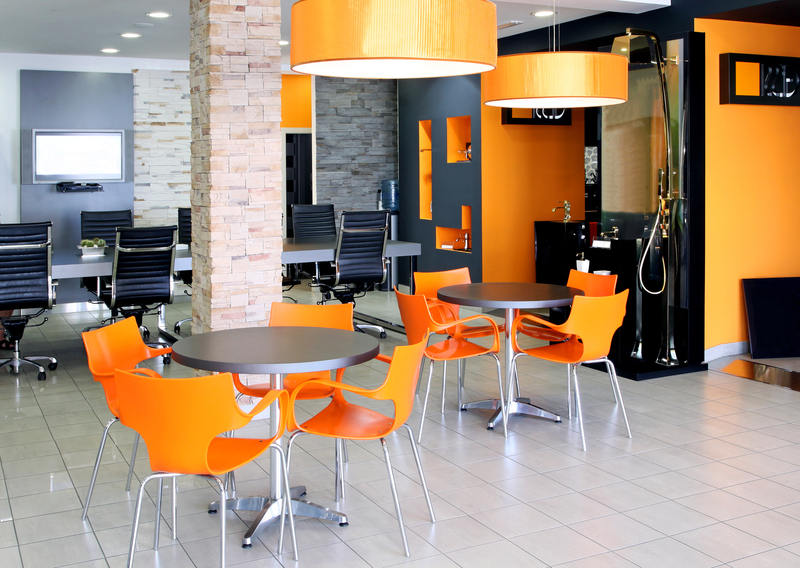 The first impression a client has of your business may be the colors you paint your building. You want the colors to convey professionalism and competence. For both the exterior and interior of a commercial building, there are basic guidelines to follow. This isn’t just good advice for Switzerland; it’s good for your paint scheme as well. Neutrals are calming and inoffensive to just about everybody. They also provide a great backdrop for your logo. Your brand name can really pop against a neutral background. For the exterior of your building, neutrals are more likely to blend with the neighborhood. This might be important if you are in a historic district. If you feel a need to add a bit of pizzazz and personality, choosing a vibrant trim color can provide a spark without overwhelming your clients or the neighborhood association. There is a psychology to color. Colors can influence the way people think and feel. For example, most people consider blue to be calming and serene while red is exciting or romantic. What do you want your customers to feel when they see your building? If your company is a hip new internet startup, you might paint the building with some accent colors that scream youthful energy, such as orange. However, if your business is a respected law firm of 100 years, some hunter green trim may be just what you need to convey longevity and reliability. Look at the swatches in the room that is to be painted. Hold the swatch vertically to the wall you want to paint. Hold the swatch against a white background. At Precision Painting and Decorating, we are ready to help you achieve the perfect professional look. Give us a call today- 630-445-0340. This entry was posted in Uncategorized by Precision Painting & Decorating. Bookmark the permalink. Our team of service professionals is altering the perception of the contracting world by providing our clients with complete confidence and minimal disruption from beginning to end. Proudly Serving the Greater Chicagoland Area Precision Painting & Decorating, (630) 688-9423, sales@ppdpainting.com | Base Content Copyright © 2019 Market Hardware, Inc.